Commercial Boiler Servicing is something that very few people would think much about. It’s unlikely to be top of anyone’s list of things they love to organise, but neglecting it, can be a very expensive decision in more ways than one. What happens if you don’t service your commercial boiler? We’ll look at the potential legal issues you could face if you fail to service your commercial boiler. And finally we will look at which commercial boilers we work with and who has given us approved supplier status. Why Service your commercial boiler? If you are the landlord of a commercial premises, whether it’s an office, industrial, retail, residential, hotel, educational, hospital, care home, licensed outlet or even a prison, you have a legal duty to protect your staff and guests whilst they are on site. You should service any commercial gas appliance in accordance with the guidelines laid down by the manufacturer. On top of this, It is your legal obligation to have an annual gas safety inspection carried out by a registered engineer. You also need to ensure that you retain copies of your gas safety certificates for a minimum of two years. The Health and Safety Executive now have the power to issue criminal proceedings if you do not comply with Gas Safety Regulations. If you are the landlord or managing agent it is your responsibility to ensure you comply. It’s not the tenants and it’s certainly not your staff or customers. The penalties, in the worst cases, can be extremely harsh. The standard penalty is a £6,000 fine for each breach and/or 6 months imprisonment. If, through your negligent non-compliance, someone is killed, charges of manslaughter could be brought. Your Insurance cover would almost certainly be invalidated for non-compliance leaving you exposed as directors and Officers to the legal ramifications. A boiler that is serviced regularly will run more efficiently, be less prone to breakdown and generally last longer. You must have your commercial boiler serviced according to the manufacturers guidelines, or you will invalidate the warranty. Like car servicing, increasingly these service intervals are not a set time, but more about the time a boiler has run for and how efficiently it has run. We are seeing more recommended service intervals being extended out to up to three years, but this long service interval does NOT void your legal requirement for annual safety certification. Whilst rare, there are still too many instances around the world where guests have been harmed from carbon monoxide (CO) poisoning through a faulty boiler. It has the potential to affect anyone in a commercial space too. As more buildings are almost hermetically sealed for energy conservation, the risk of CO in the system grows. The gas is odourless, colourless and tasteless, meaning that most people would never know they are being poisoned. A regular service programme will ensure your commercial boiler is burning fuel safely and efficiently. Correct maintenance will invariably save you money in the long term. The cost of maintenance can be dwarfed when compared to the capital cost of having to install an entire new system after an irrevocable breakdown. In addition to the capital cost, there is the obvious potential for major business interruption too. With more boilers being built out of a mix of metals, we are seeing some failure due to galvanic corrosion. Over time, this galvanic corrosion can cause pitting on the inside surface and ultimately failure of the heat exchanger. It is normally be caused by a swarf of dissimilar metal (often considered most likely to be copper) settling on the surface of the aluminium. This failure would indicate insufficient cleaning and/or flushing of the system before the addition of an approved inhibitor into the system. A galvanic failure of a heat exchanger will not be seen as a result of a manufacturing defect in the components used in its construction and cannot therefore be the subject of a warranty claim. This could be prevented with regular maintenance. 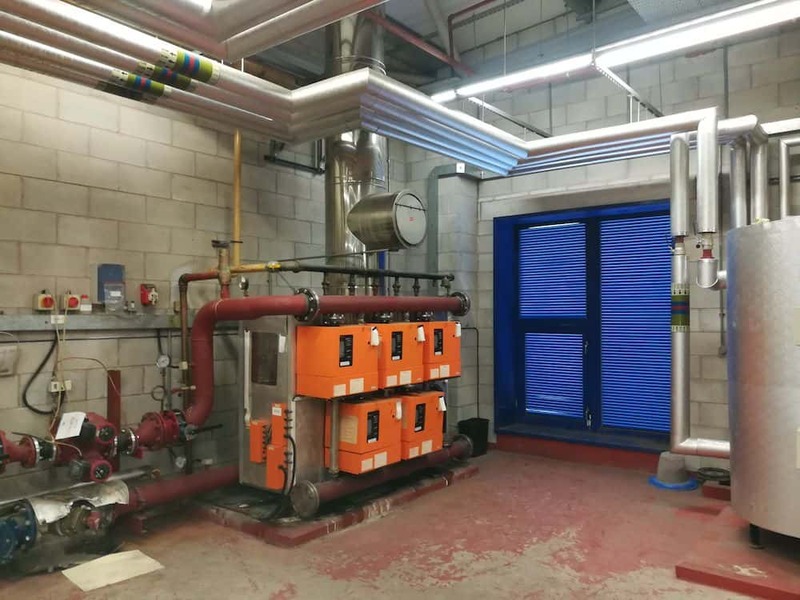 We recommend that boilers are isolated from the system and that the system is cleaned with a neutral pH cleaner, thoroughly flushed and then refilled with mains water and a suitable neutral pH inhibitor containing high performance pH buffers to maintain a fixed system pH of 6.5-8.5. What does a commercial boiler service entail? A commercial boiler has to be dismantled during a service to access the working parts. There is a common pattern for these tasks along these lines. Sometimes this may entail specific replacement parts with one of the most common being the replacement of the ionisation/ignition electrode. If fitted, the magnetic filter also needs to be checked and cleaned. We often test the system at this point to ensure inhibitor and PH levels are correct. When this is done, the service interval indicator and any error codes are reset and the boiler is reassembled. With gas, electricity and water mixing in close proximity, there is always a risk. Our team of engineers are not just qualified, they are experienced too. Regular servicing is relatively inexpensive and causes very little business interruption, when compared to the cost of replacement of an entire system. Error Codes are now common on almost any boiler – commercial or domestic. They can however lead to a whole series of further errors by an inexperienced engineer merely taking it as read that the error code being displayed is the actual issue that’s causing it. We believe that the experience of the Kimpton Engineers enables them to take better decisions and ultimately save you time and money in the process. Colin Swanick, the Kimpton Service Director sums this up. “An error code is just a start point. It may simply tell you to replace a PCB. This is an expensive and aggressive approach and may well not solve the actual underlying problem. It’s also a part that can’t be returned if it doesn’t solve it, so it makes sense to find the issue first. It could be an electrical short elsewhere, or some other issue that’s causing the problem and fitting a new board will only ever be a short term fix before it fails again. Whilst this isn’t an exhaustive list, we have approved supplier status with many of the major commercial boiler suppliers. 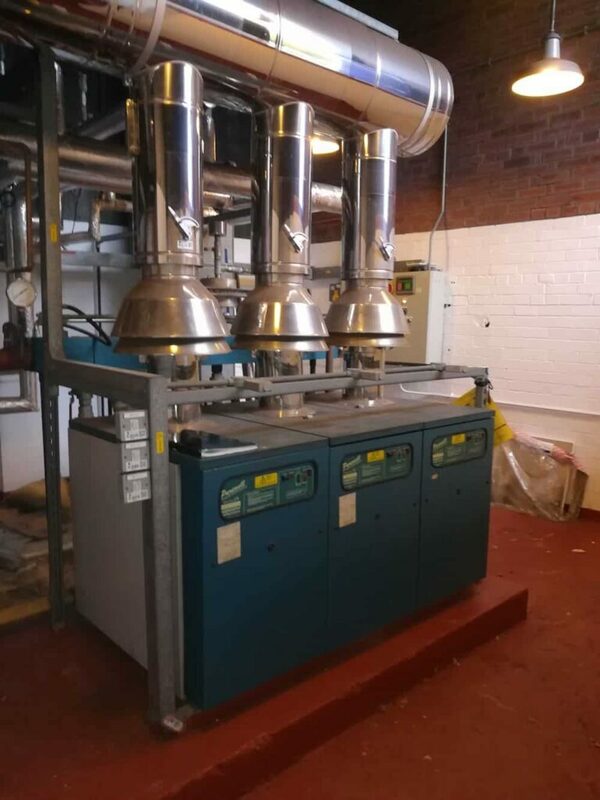 Commercial boilers are generally 70kW and above. This isn’t an exhaustive list as through the years many of the commercial boiler suppliers have merged, closed or just changed their names. But, over our 50+ year history, many of our engineers have worked on some unusual and interesting boilers and heating systems. So if in doubt, please do call us and we would be happy to discuss your particular set-up. 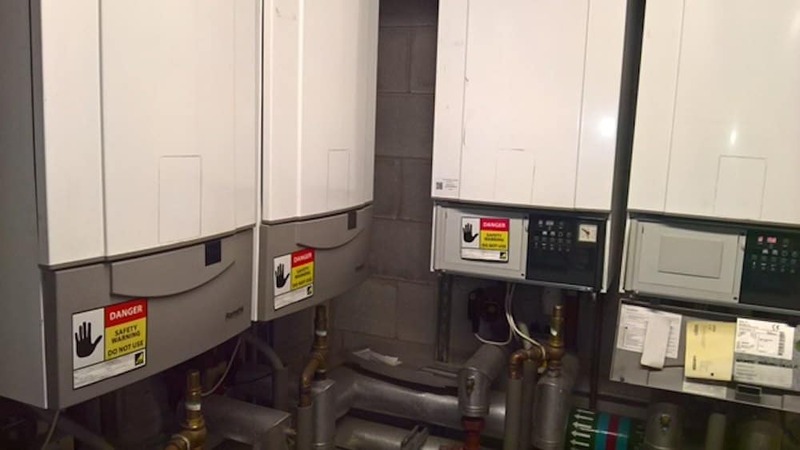 The Kimpton maintenance team are the team you can rely on for commercial boiler servicing and repair. The emergency repair team are on call 24 hours a day, 365 days a year. All of our mobile engineers are highly experienced, fully qualified and carry enough of the common service parts to solve most issues first-time and will get you back up and running in double quick time. Call us today on 0151 343 1963.